Canada ranks highly in a new survey of places where the world’s workers would like to move, but individual cities seem to be suffering from an image problem, getting beaten in the survey by cities with far worse economies. The survey from Boston Consulting Group and The Network, an umbrella group of recruitment firms, found the U.S. is the most popular destination for workers looking to change locations. Forty-three per cent of the more than 200,000 respondents in the survey identified the U.S. as a place where they would move for work. The United Kingdom came in second, with 37 per cent of respondents saying they’d move there, and Canada came in third, at 35 per cent. But when broken down by cities, Canada becomes a much less popular destination. Only Toronto cracks the top 10, sitting at 8th place. That places Toronto below Barcelona, Madrid and Paris, three cities that are likely much worse places to look for work than Toronto these days. France’s unemployment rate is sitting at 10.2 per cent, and Spain’s is at a whopping 24.5 per cent. Canada’s is hovering around 7 per cent, though job creation has been unimpressive over the past year. Overall, London topped the list of cities, with New York in second place. The oil boomtowns of Western Canada didn’t make the list. 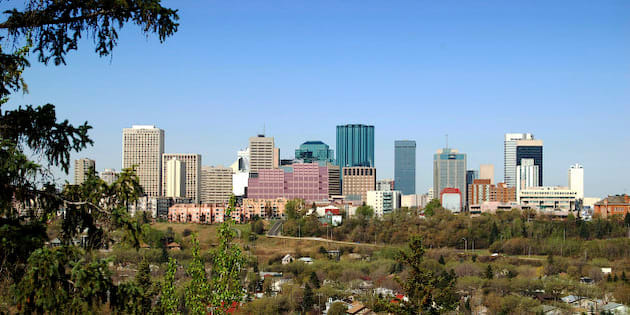 They should have, given that 40 per cent of the jobs created in Canada over the past year were created in Edmonton. Other than Toronto, the Canadian cities that made the list were simply the largest and best-known: Montreal, at 21st, and Vancouver, at 23rd. If anything, the survey goes to show that reputation can be more important to attracting migrants than actual conditions on the ground. Overall, the survey found a global population that’s increasingly ready to relocate for work. “Almost two in every three job seekers globally say they would be willing to move abroad for work, a startlingly high proportion that says a lot about the evolving marketplace for talent,” Boston Consulting Group said in a statement. Canadians themselves are relatively unwilling to move abroad for work. While just under 64 per cent of respondents worldwide said they were willing to move, in Canada that number was in the 50-per-cent to 60-per-cent range. Americans, Britons, Germans and Russians were among the least willing to move abroad for work, with fewer than 50 per cent of respondents saying yes.